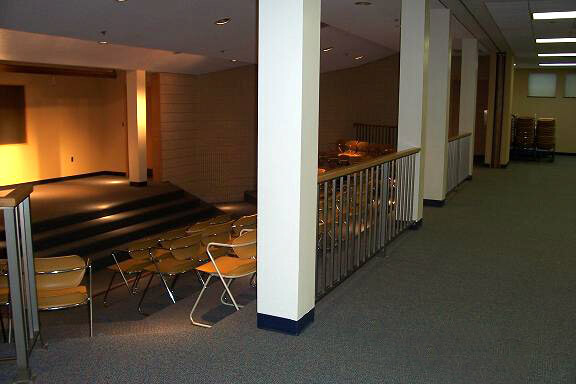 We have the perfect space for your educational, cultural, or community event. 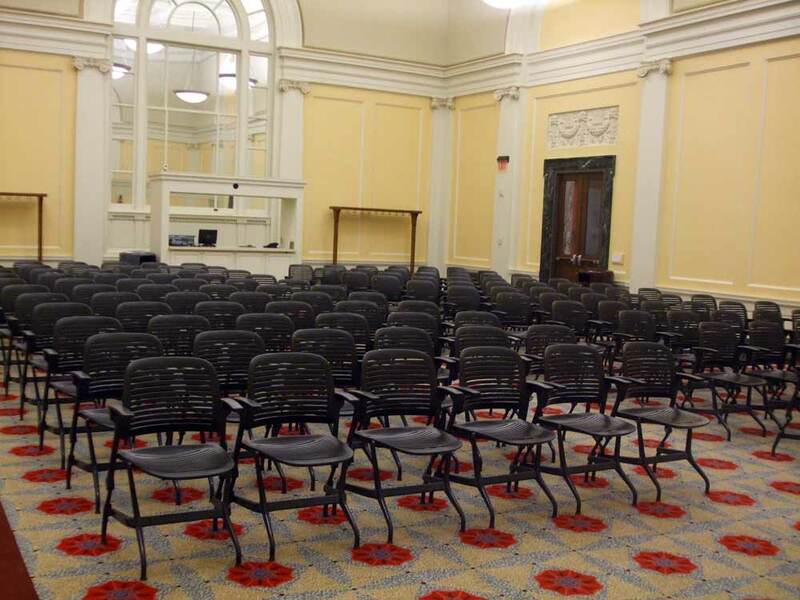 If you are interested in reserving a room please read the library’s Room Guidelines. 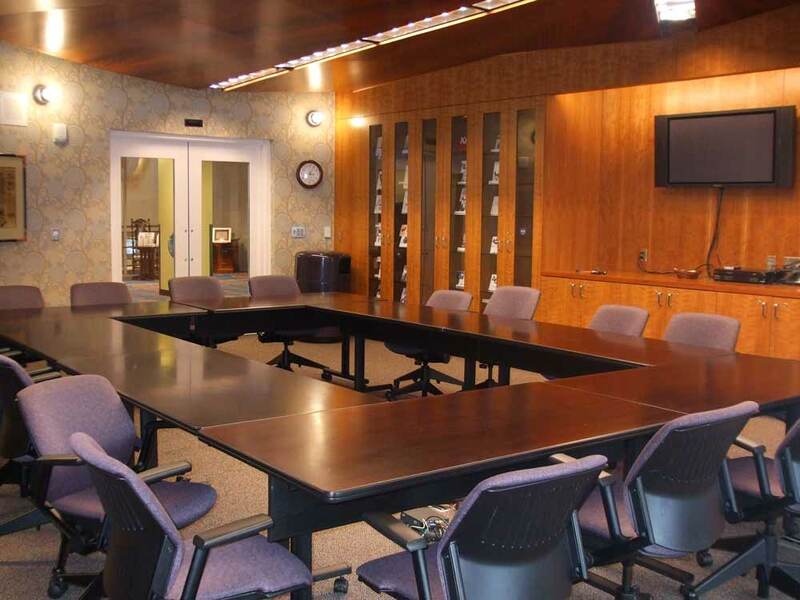 To reserve a room at the library, contact the Business Office at 616.988.5409. We ask that rooms be reserved at least two weeks prior to the event. Library facilities may be used for activities not sponsored or administered by the Grand Rapids Public Library when those activities are educational, cultural, or for the betterment of the community. 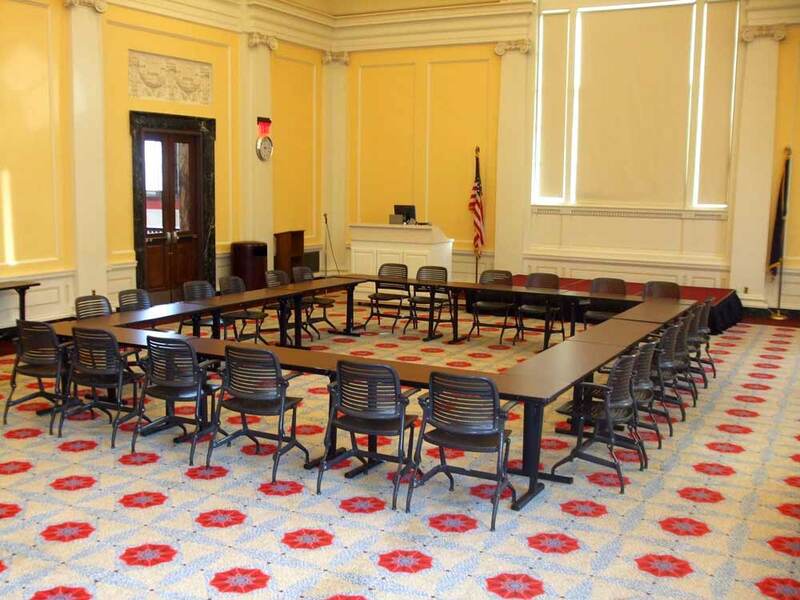 Library facilities are available to non-profit and for-profit organizations for meetings and programs but are not to be used for business development, sales, or commercial activities. Library facilities are not available for social events such as showers, birthday parties, weddings and receptions, or private receptions. All activities must be free to attend and such use shall not include distribution of literature, solicitation for memberships, and/or payment of dues. beginning April 1 for July – December of the current year. Applicable service fees will be charged. User agrees to honor the start and finish time of their rental agreement. The user will not have access to the room before the agreed upon start time and will have completely vacated the room by the agreed upon finish time, unless arrangements have been made ahead of time. Facilities are available during open library hours up to 30 minutes prior to closing. If library computers and equipment are being used, the user must use the software available on the computer. No new software may be installed and existing software may not be reconfigured or changed in any manner. Users are welcome to bring their own computer or device if they prefer. Library staff has not been trained to support outside equipment and therefore is unable to help. The user is financially responsible for any and all damage to the library property. A tentative reservation will be made if the date requested is available. That tentative reservation will be cancelled if a Room Reservation Agreement is not signed within two weeks. All rental fees must be paid two weeks prior to the reserved date or reservation will be cancelled. The library will not discriminate in the use of its facilities based upon race, religion, color, creed, national origin, gender or other criteria prohibited by law. Permitting use of library facilities does not constitute endorsement, by the library, of the organization, the goals, objectives or activities of the organization, or the content of any communications made by the organization. If the library’s space does not work for your event, you might consider another Multipurpose Space in the community that is open and available for public use.